Get ready for the show you’ve always been waiting for!! That’s right, on the Monday 16th July 2018, Smashing Pumpkins are coming to the Frank Erwin Center – an event that will shake North America to its core!! We can’t wait – can you?? No?? Then grab your tickets ASAP, before someone else does, and get ready for the show of a lifetime!! As one of the biggest alternative rockers to walk the earth the Smashing Pumpkins have been churning out albums for their dedicated fan base ever since their debut all the way back in 1988! Hailing from Chicago, Illinois, vocalist and guitarist Billy Corgan formed the group with James Iha (guitar), the band included D'arcy Wretzky (bass guitar) and Jimmy Chamberlin (drums) in its original incarnation. 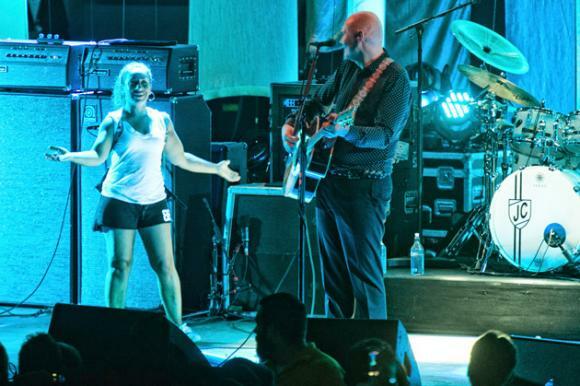 It has undergone many line-up changes and the current lineup consists of Corgan, Chamberlin, Iha and guitarist Jeff Schroeder. 2018 brings yet another incredible year for the legendary, worldwide inspiring 80's/90's band and there's more where that came from!! Join them on their summer tour across North America – see them at a venue near you! Starting off as many did back in the era, Smashing Pumpkins were a big part of the punk rock roots of many of their alt-rock contemporaries, their widely ranged, impeccable layering, and guitar-led sound, containing elements of gothic rock, heavy metal, dream pop, psychedelic rock, progressive rock, shoegazing, and electronica in later recordings. Corgan's songs have been described as "anguished, bruised reports from Billy Corgan's nightmare-land."